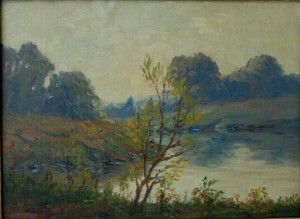 Wilfred Barnes was a member of the “Royal Canadian Academy”. He operated the Barnes School of Art in Montreal Quebec. Wifred Barnes was born and died in Montreal, Quebec, Canada. This entry was posted in Biographies, Wilfred M Barnes by lacorniche. Bookmark the permalink.